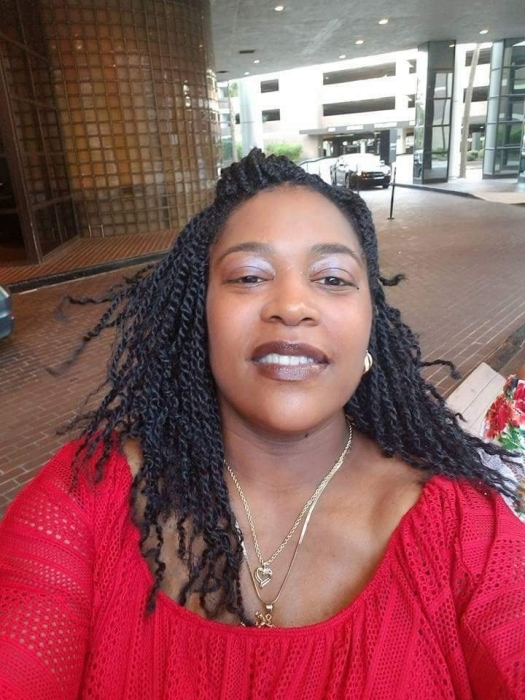 Martina Michele Lofton, age 45, passed Saturday, December 1, 2018. She is preceded in death by brother Michael C. Allen. Martina leaves her precious memories, loving mother, & stepfather, Linda ( Ronald) Milner. Father Michael Baird. Fiance Alvino Long . Daughters Asia Cathcart, Michaiah, Mya Ann Long, LaKeisha Caldwell. Grandchildren, Calen, Miquel, & Ayoka. Brother Hamp(Raegina) Allen. 3 half brothers, 1 half sister, 2 stepsisters, 1 Stepbrother. Grandparents Hamp & Betty Lofton, Nadine Howell. Many Aunts, Uncles, Nieces, Nephews, Cousins. Relatives, & Friends. Including her Bonus Children with Alvino. Family will receive friends Saturday, December 8, 2018 at 9:00am until time of service at 10:00am at Friendship Missionary Baptist Church, 1775 W. Broad St., Cols, OH 43223. Interment Evergreen Burial Park. Arrangements by WHITE’S FUNERAL AND CREMATION SERVICES, 867 S. JAMES ROAD, COLS, OH 43227, BENJAMIN F. “BENNY” WHITE, JR, FUNERAL DIRECTOR, (614)947-1123, whitesfh867.com.